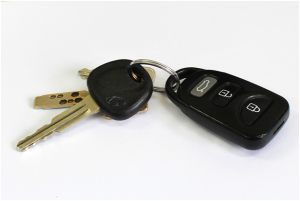 Magazinzoo.com Reviews Why Has Your Car Remote Key Stopped Working? Why Has Your Car Remote Key Stopped Working? A keyless remote can be such a useful thing to have, but it can also be frustrating when they stop working. There are a few possible reasons for this, and most are straightforward to resolve. This sounds obvious, but it’s important to first check if the problem is with the fob itself. You can try a process of elimination by checking against a second fob, if you have one, and checking that the physical key works. It’s also worth ascertaining that the internal locking mechanism is in working order. Car remotes are tough, but they’re not impervious to damage and failure. Take a look inside for any broken or loose contacts, connectors and buttons. These may require re-soldering, or the buttons may need replacing if they are getting stuck. As with a regular car battery, like the Odyssey PC680 motorsport battery, available from a company like http://www.grovesbatteries.co.uk/optima-odyssey.aspx?BatteryId=573, keyless fobs can also require replacements. Batteries are generally small, inexpensive and easy to come by, with the most common types being CR2032 or CR2025. Swapping the battery for a new one often does the trick, but if it doesn’t then this would point to another remote issue. Keyless remotes work in tandem with a receiver in your car, and they need to be securely paired and programmed correctly. The latest advice is to store your keys in the fridge or a metal box to prevent criminals using new technology to hack the signal. If the fob and receiver are no longer working together as a unit, see your user guide. Typically, it’s a case of putting the key in the ignition to the run position then back to lock. After repeating this several times, an indicator will sound. Press lock or unlock on the remote and another indicator will sound, completing the reprogramming. Ensure any additional safety alarm features are also reprogrammed correctly. 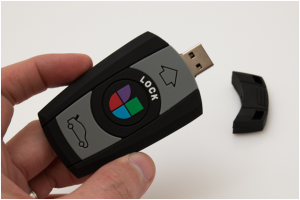 If you have confirmed the remote to be the problem and are unable to find or fix any issues with it, you may wish to take it to a specialist to inspect it or to obtain a replacement, which will need to be initially programmed to your car locks. Previous Previous post: What to do before a weekend at the spa? Next Next post: Amazing Style Hack: How To Dress Well With Little Money?